This is a great family film that's R-rated. In it, even little kids say words that would have had my grandmother beating them with a stick for uttering. And yet, honest to Pete, in every other respect it's a wonderful family film that endorses family, integrity, good parenting. In every other respect besides language it's a PG-13 film. And it's a really good movie by cinematic standards, wholly apart from the values it promotes. I once heard that casting was 80% of a movie. If so, "The Descendants" wins big time because the casting is flawless. George Clooney sinks into his character--which is tough to do when you're such a big star (and you look like Jay Leno's handsome first cousin). You really see him as his character, and his voiceover narration actually works, unlike many voiceovers. But the first class casting extends down to the smallest parts--the sign of a fine movie. And the second role, the hero's rebellious daughter, is played with real distinction by Shailene Woodley, previously only known as the lead in the CW network's teen soaper/weekly abstinence infomercial "Secret Life of the American Teenager." The film is set entirely in Hawaii--mostly in the Oahu of those who live there and have lived there for generations, in a suburban lifestyle that looks very much like mainland suburbia except that even the wealthiest families in the fanciest get-togethers are all barefoot. It's pretty cool, really. 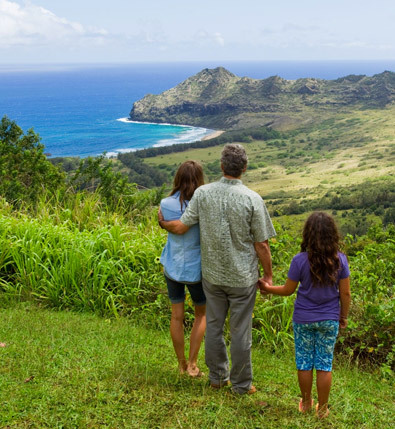 Hawaii is one of the best pieces of casting--casting because it comes one of the main characters, providing a backdrop for the human players who are all--hence the title--the descendants of haoles from the mainland and local Hawaiians who intermarried. One character who has precious screen time is Matthew Lillard, who I only knew of from his role in the Scooby Doo movies--that is, as a rubber-faced buffoon. But here in a small role he does a great job portraying a quasi-slimeball who isn't quite as bad as we're led to think. And Judy Greer, playing the character's wife, does an equally great job with a small role. The cinematography is competent if not cutting edge. It's aided by being set in Hawaii. Hard to lose with that one. I've been there several times, and the film really took me back. I could smell the warm, humid air and how it makes the main character (Clooney's) sweat when he runs for a while. This film has gotten rave reviews from the critcs and from audiences. You will do yourself a favor if you see it based on those and this, without trying to find out all the details of the movie. You can get the whole plot easily enough, since most reviews tell the whole story most of the time. I'm trying to help preserve some element of surprise for you here, while still telling you whether you should see it, and whether in a theater or not. As for that, my rule of thumb is to only see 3D films in theaters rather than on my 46" flat screen home theater. This film isn't 3D, but I happened to see it in a theater. Some people I saw it with thought the Hawaiian setting was enough to justify seeing it in a theater. I dunno, but that is an argument for it. But I don't think you'll feel bereft if you wait for the DVD. The same evening we saw "How to tame your dragon" on a home theatre, and it made us greatly miss how great it had looked in a theater in 3D, BTW. The measure of a film, for me, is whether it sticks with me. This has. The characters are so richly drawn, and the actors convey their characters with so much good acting and not all the talkiness that screenwriters like to put in everyone's mouths. I'm talkative myself, but most people really aren't, and I felt the screenwriting here was true to the characters' characters. Need anything more to decide whether to see it? Well I should add that it's a dramady that moves deftly between comic and very serous moments. At the end, you won't feel devastated. Actually, you'll have trouble not smiling--the kind of warm smile I often give my wife of 30 years after a moment of shared understanding. The film is sophisticated in its characterizations without being at all arch or pretentious. It's an honest movie with a lot of heart, yet without hiding any of the characters' flaws--or, in the case of the more or less bad guys--strengths. Ultimately it has no saints or devils. Just a bunch of people, connected in various way, doing the best they can...in Paradise.